Provides superb depth and definition of sculpted details. Timeless, classical, architecturally correct design with all enrichments properly scaled. Installs quickly and easily using PL Construction Adhesive, screws through pre-drilled holes and spackling. 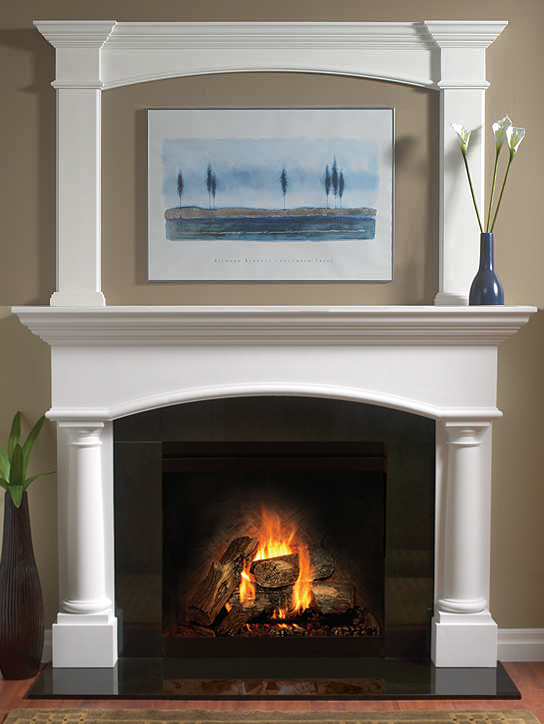 Made of noncombustible, glass fibre reinforced gypsum cement. 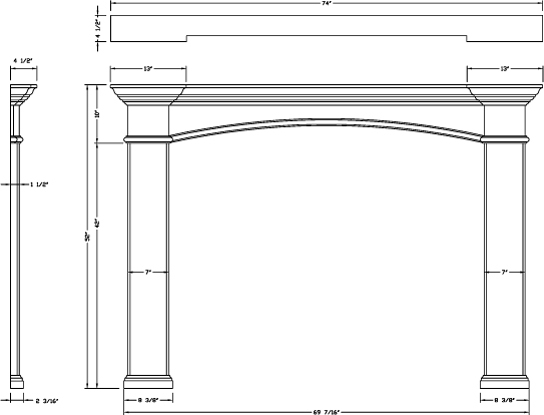 Supplied in 3 pieces: a mantel top and two mantel legs. Height adjustable using a standard hand saw. Copyright © 2019 Balmer Architectural Mouldings Inc. All rights reserved.